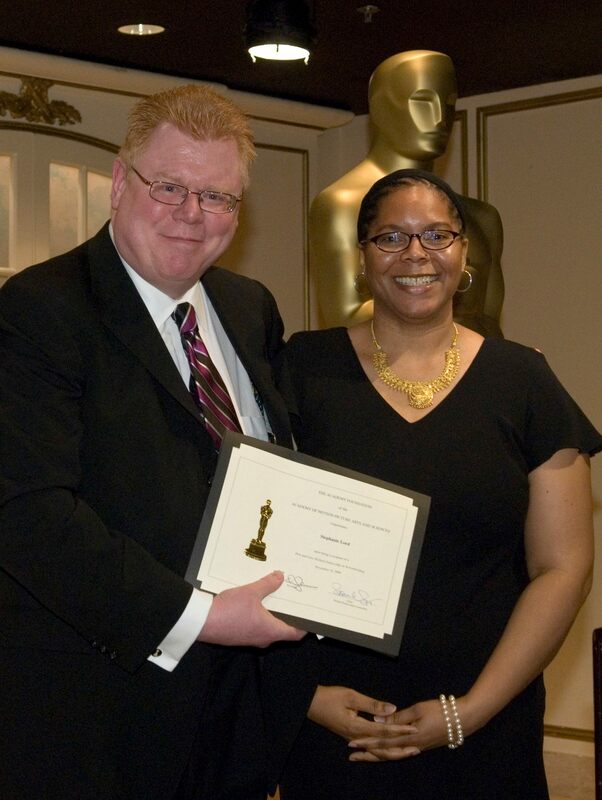 Nicholl committee member Dan Petrie Jr. and fellow Stephanie Lord. 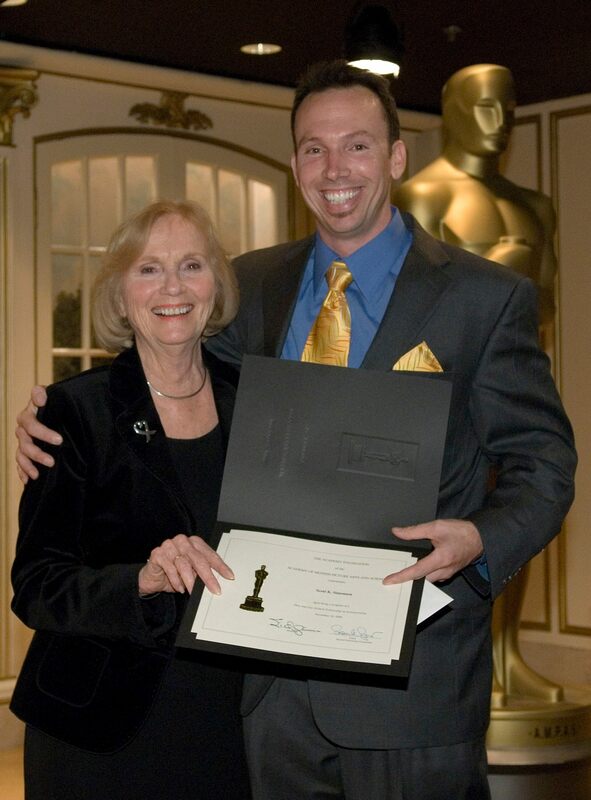 Nicholl committee member Eva Marie Saint and fellow Scott Simonsen. 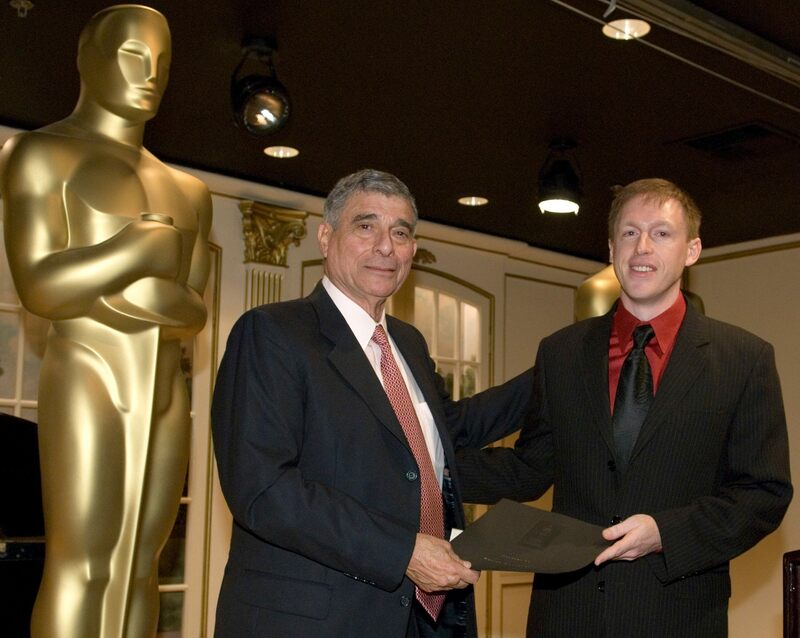 Nicholl committee member Ron Mardigian and fellow Arthur Jolly. 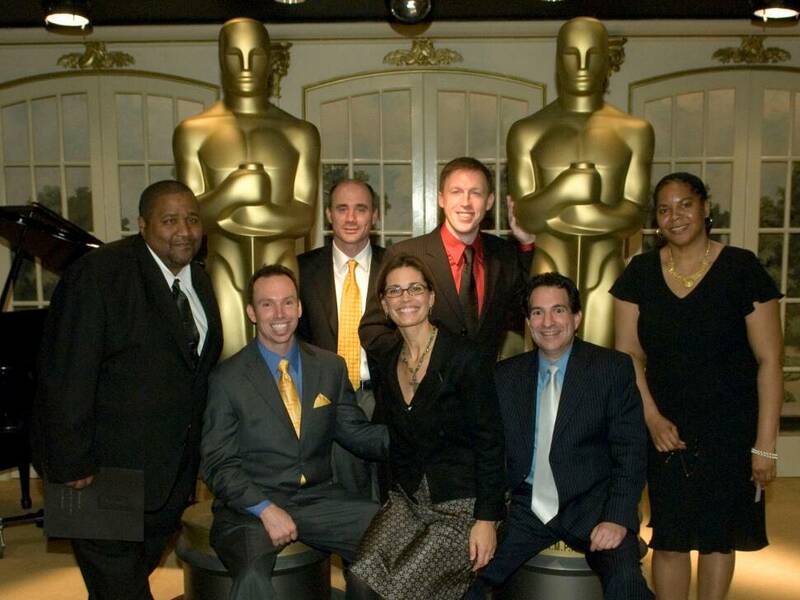 (first row seated) fellow Scott Simonsen, 2006 Nicholl committee chair and 1992 fellow Susannah Grant, and fellow Mark Matusof; (back row, standing) fellows Alfred Carpenter, Josh Schorr, Arthur Jolly and Stephanie Lord. 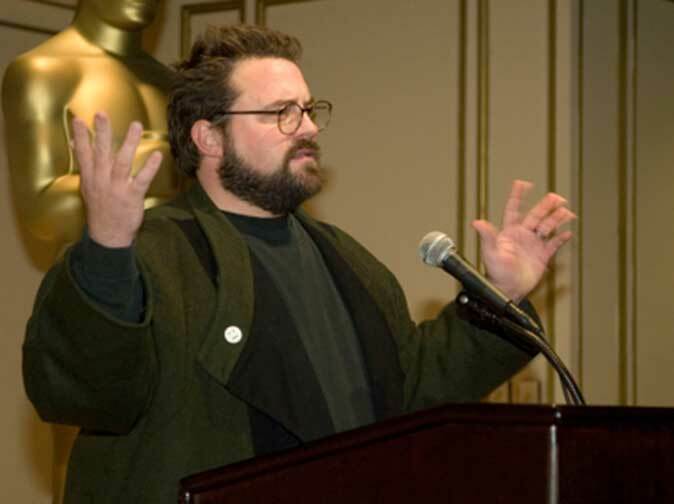 Writer-director-actor Kevin Smith, who delivered the keynote address at the event. 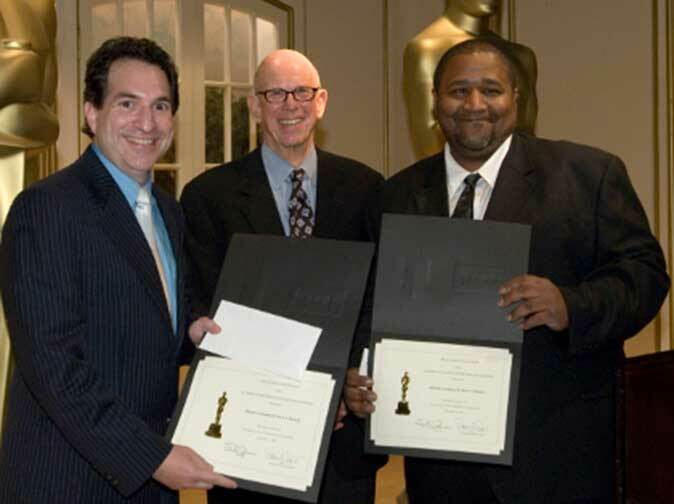 Nicholl committee member Bob Shapiro (center) and fellows Mark Matusof (left) and Alfred Carpenter, who wrote their script collaboratively.